SRS imaging, a new form of cancer detection, could provide an easy and efficient way to detect tumors and cancers cells far earlier than current methods. Chemists have designed a new molecular imaging technique that allows them to peer inside living cells and track cellular processes. Magnetic Resonance Imaging is a miraculous tool that has revolutionized medical practice. With great precision, MRI scanners provide views of the body’s interior organs that conventional radiography techniques, such as X-ray and CT, cannot view. While MRI scans are great for the examination of organs like the brain, spine, and soft tissues, they can’t get to the cellular level. There are attempts at enhancing the resolution of MRI images. Recently, researchers at the University of Southern California (USC), thanks to a new cell-labeling process, were able to visualize less than 100 cells. Another research team from Columbia University, New York has been working on what we can call subcellular MRI. Columbia University chemists have taken live cell imaging up a notch with a novel technique that zooms right into individual cells to track macromolecules and molecular changes in real-time. The team combined chemical tracing and a new laser-imaging spectroscope into one tool, described in a paper published in Nature Communications. Researchers gave heavy water (D20) diluted with regular water to mice, roundworms, and zebrafish embryos, as a chemical tracer. Then, they used Stimulated Raman Scattering (SRS) to aim lasers at different locations inside test subjects and track metabolic changes at a subcellular level. Once ingested, heavy water atoms find their way into macromolecules (proteins, lipids, and DNA) where they create “carbon-deuterium bonds” that, under a laser, tend to “vibrate at varying frequencies”. 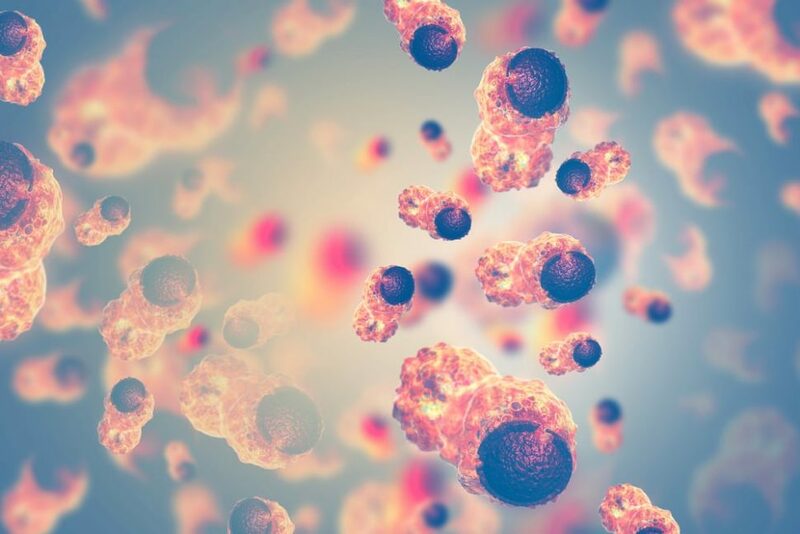 By tracking when and where deuterium-tagged macromolecules are made, the SRS imaging method can provide insights to a clinician about cell development and aging and draws a clear distinction between cancer cells and healthy tissue. Do you think SRS imaging will become the norm in cancer detection practices?